French National Front leader Marine Le Pen has been joined by Matteo Salvani, the leader of Italy’s Northern League. It is only a few weeks since Marine Le Pen‘s anti-immigration and Eurosceptic party suffered a resounding defeat in France’s regional elections. In her opening remarks, Le Pen said the influx of migrants arriving on the continent would “impoverish European nations and kill their civility forever”. She told the audience that those looking for inconsistency in the party will not be successful. 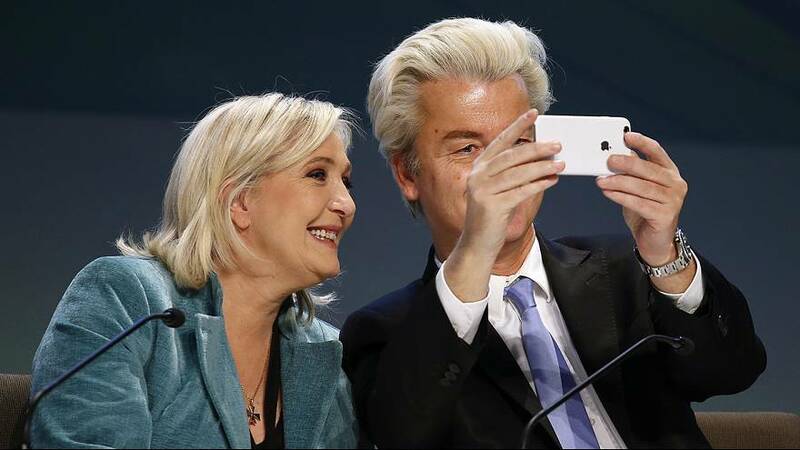 “We are strong because we defend democracy and sovereignty, because we are able to respect each other, to be friends but remain who we are,” Le Pen told the gathering. Dutch politician Geert Wilders is also at the meeting, along with Austrian Heinz-Christian Strache, who used his opening speech to attack the EU’s record on immigration. Organisers are billing this as the first congress of the Europe of the Nations and Freedom group. The political alliance was formed in June 2015 in the European Parliament. Representatives of the Polish New Right, the Greater Romania Party, the British National Party and United Russa are also at the convention. Protesters staged a peaceful demonstration outside the Fiera di Milano venue.